Despite being one of the most successful clubs in World Soccer, Die Roten are a bit of a surprise to make it to the UEFA Champions League final this year. Nevertheless, Fußball-Club Bayern München - the most storied team in Germany - will be battling Inter for the European Championship May 22nd in Madrid. 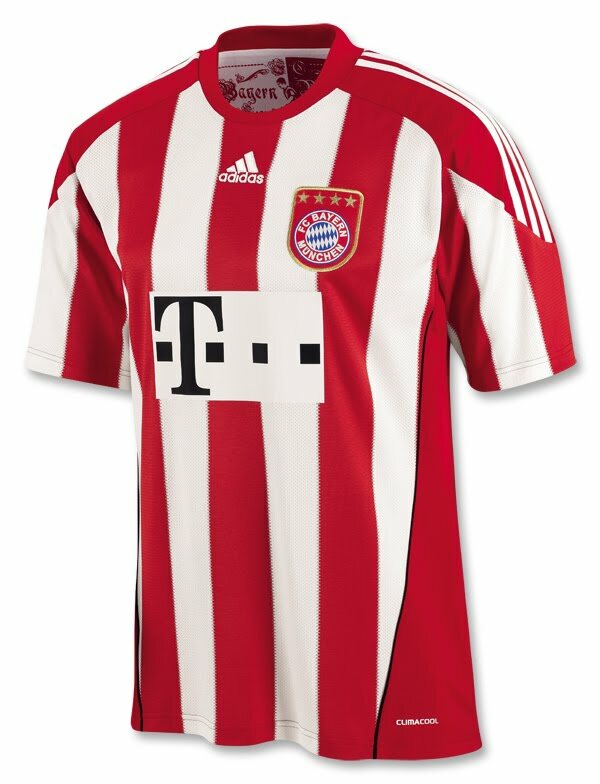 Official adidas FC Bayern 10/11 Home Soccer Jersey! This is a jersey worthy of the next 110 years of loyalty, legends and championships and Bayern's 10/11 season. The new jersey celebrates the 110th anniversary of the most successful club in Germany. The design is a new take on the classic Bayern Munich striped jersey that dates back to 1910. There's a special design on the back neck that honors the legends of the club and the loyalty of Bayern's followers.